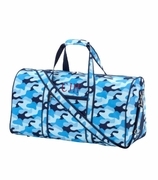 Camouflage duffle bag for the adventurous in the popular army camouflage fabric. 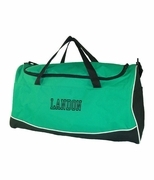 This unisex duffel is perfect for an overnight bag, great for camping or carry sport gear. Front zip pocket, two side gusset pockets and u-shaped top zipper opening for easy access to contents. Quality construction, oversize, reinforced seams. 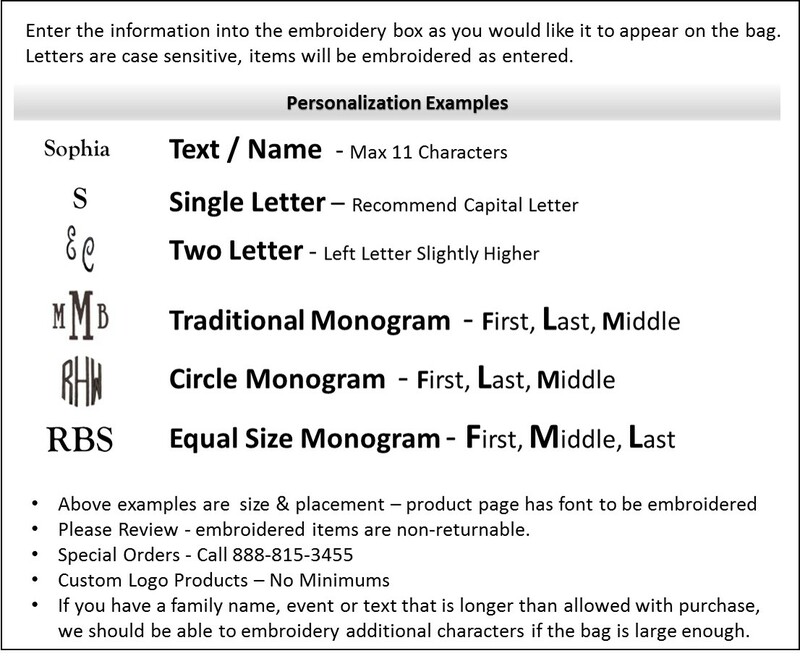 Includes name, single of three letter monogram. 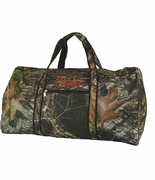 Camouflage duffle bag measures 18"W x 11�H x 9� across bottom. Over shoulder adjustable carry strap included. Excellent communication and speedy shipment! Quality bag and great for gift giving. Thank you! Very happy with this bag. Good quality and nice size. It's a gift for my son and he is going to love it!